Located in the beautiful Wutai Mountain Scenic Spot area, the Mount Wutai Golden Hills (Wutaishan Jindu Shanzhuang) is about five minutes' drive from Wuye Temple. 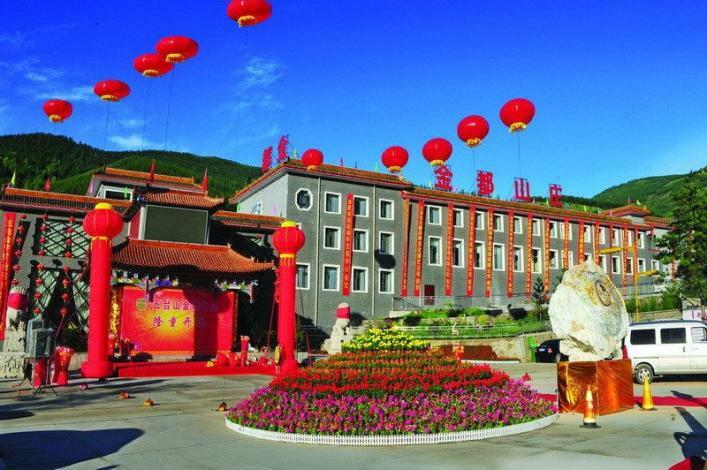 This Wutaishan hotel provides a variety of guestrooms and suites, all equipped with modern amenities including international long distance phones as well as Wi-Fi access at the public areas. Free parking is also available. Diners can take their pick at the on-site Chinese and Western restaurant. Those not ready for staple food may head over to the lobby bar and pub while chatting with friends over a cup of coffee and drinks. For those after relaxation, there are massage and sauna rooms. Guests can also stay active in the indoor and outdoor swimming pools, or just play a game of chess and cards. - 2 km to Shuxiang Temple.